Why serviced rather than fully restored? Because we want to offer a few excellent machines at an affordable price. 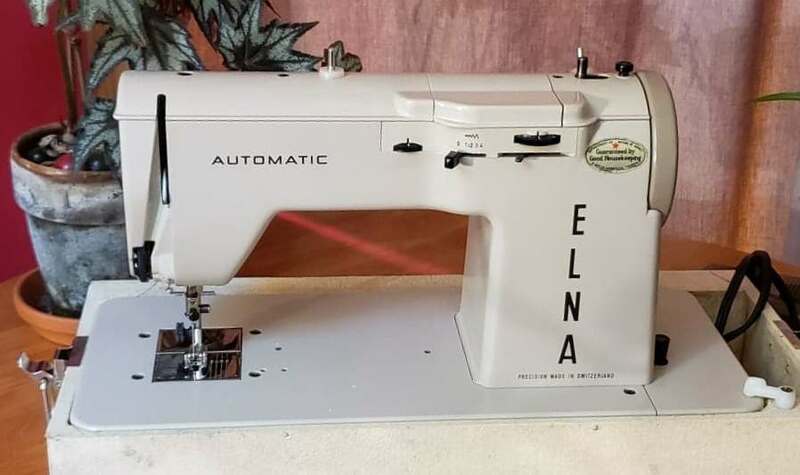 Chosen because she's already in great shape, and then carefully inspected, adjusted, cleaned, and polished, she's tested great and she's ready to come home to you and become your sewing companion for the rest of your life. Joanna Darke was your detailer and she doesn't differentiate between serviced and restored. She always does her best work on each machine, so this one is as meticulously detailed as any we offer. 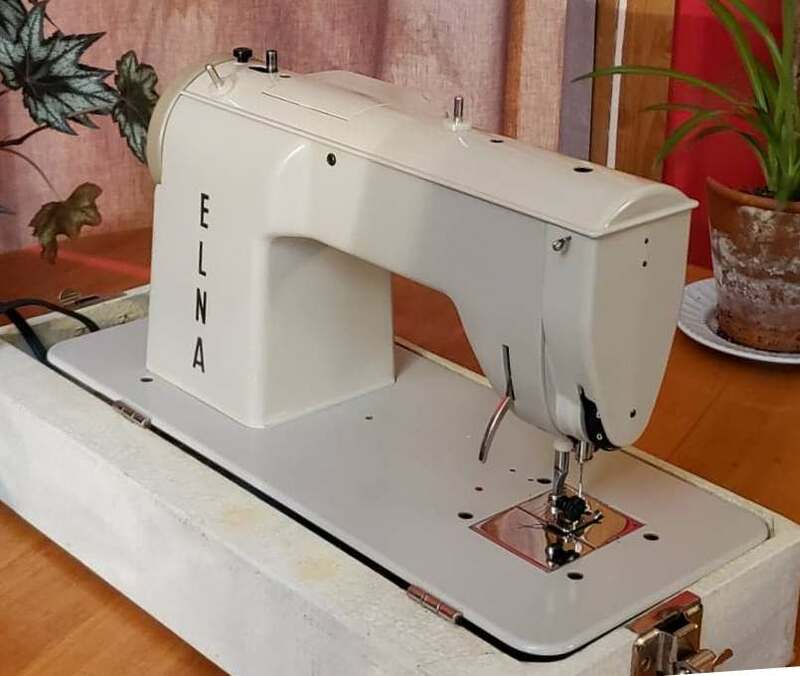 This beautiful Elna Automatic uses universal needles that you'll find everywhere on the internet and in your local department or sewing store. She'll come with one stitch pattern cam and you'll find scads more available online, to make all sorts of fancy and utility stitches. 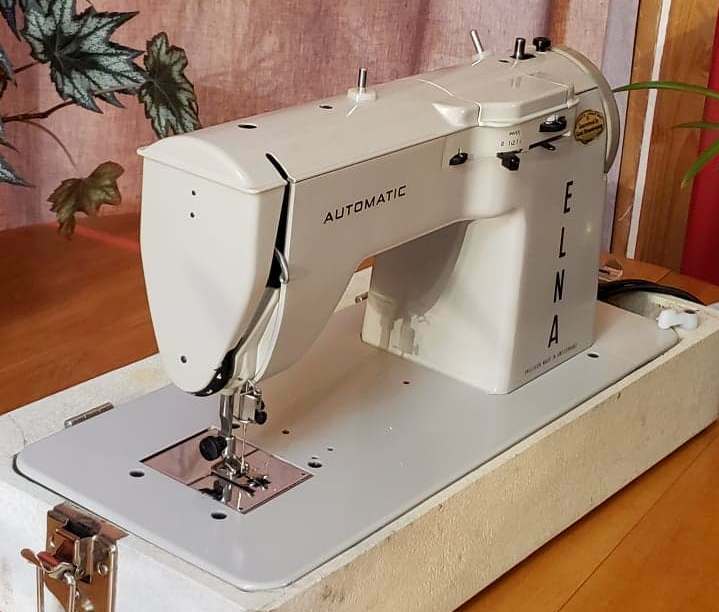 She's a great machine for sewing light, medium, and heavy materials, and for quilting, applique, art sewing, darning, and costume-making. She's strong and just as smooth as you would expect a Swiss sewing machine to be. 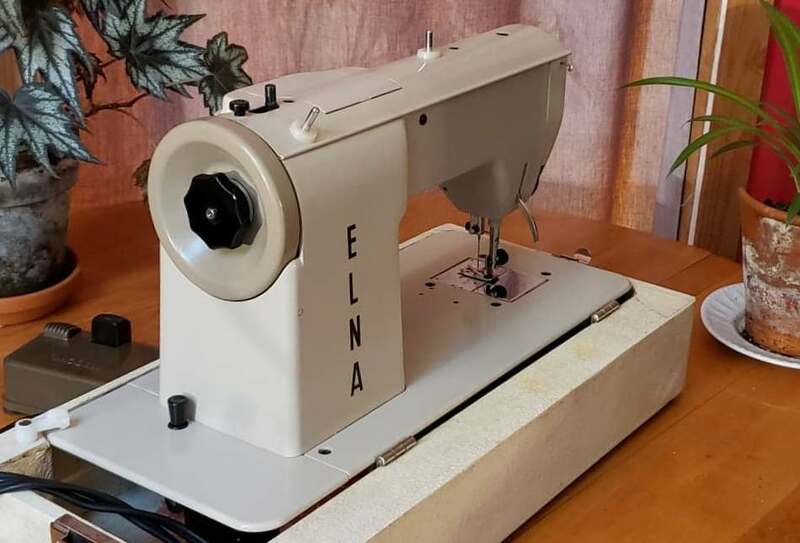 She's an Elna, one of the very finest names in sewing machines, and one of the best to ever come out of Europe. 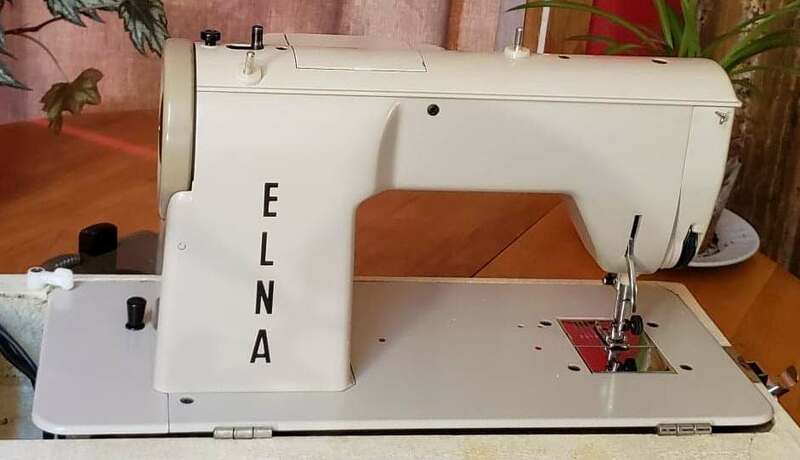 While we don't offer the Lifetime Service Guarantee which comes with our fully restored machines, you'll have 90 days after she comes to you to get to know her and to bond with her. Test her, sew on her, read your user manual, and discover that she's every bit as good as we say she is. If she's not, send her back for a full refund. 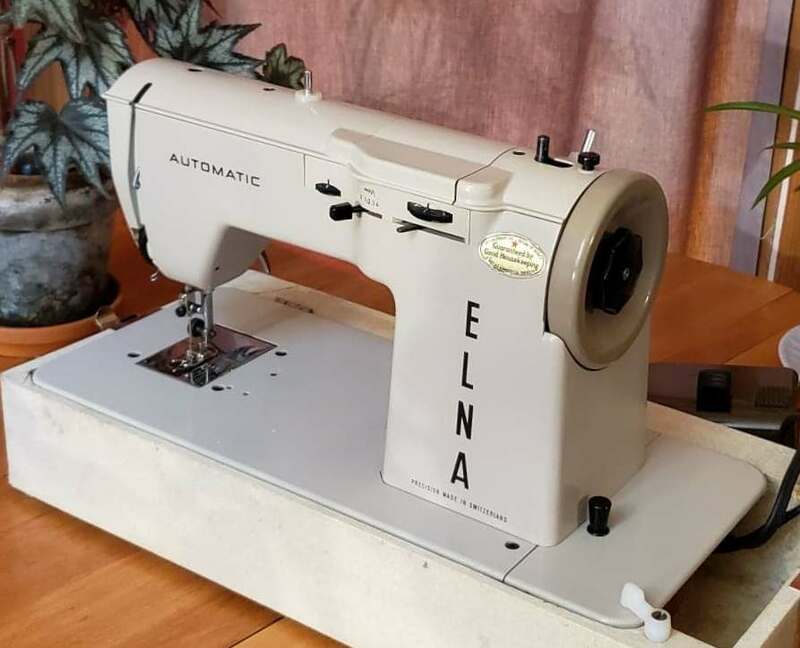 Bring this fine European machine home to your sewing room today. You'll be so glad you did.